You promise to let them do it themselves. Upromise helps you save for college. The Upromise® Mastercard® has the benefits you need to succeed. Redemption Options Visit Upromise.com for all redemption options. 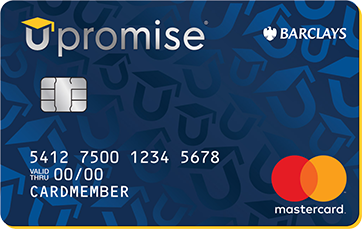 Maximize your college savings with the Upromise Mastercard Just make everyday purchases and round them up to the nearest dollar with your card. Illustration below is based on an average monthly spending of $2,000, plus a Round Up Amount of $50. watch it grow even more. The charts above are an estimate for illustrative purposes only. Cash back earned will be based on your actual spend on your Upromise Mastercard. 529 College Savings Plan returns are based on a 5% yearly rate of return, compounded monthly. The calculations shown assume that the Upromise Round Up threshold has been met and the cardmember's Upromise Program account has been linked to an eligible 529 College Savings Plan. Get the Upromise Mastercard Today! 1. Offer subject to credit approval. If at the time of your application you do not meet the credit criteria previously established for this offer, or the income you report is insufficient based on your obligations, we may not be able to open an account for you. This offer is available to new cardmembers only. For information about rates, fees, other costs, the rewards program and benefits associated with the use of the credit card program, please see the Terms and Conditions. Annual Fee: $0. 0% introductory APR on balance transfers made within 45 days of account opening is applicable for the first 15 billing cycles that immediately follow each balance transfer. This introductory APR offer does not apply to purchases and cash advances. For purchases, and new and outstanding balance transfers after the introductory period, the variable APR is 17.24%, 22.24% and 27.24% depending upon our review of your application and your credit history at account opening. The variable APR for cash advances is 27.49%. The APRs on your account will vary with the market based on the Prime Rate and are subject to change. For more information see the "About the Variable APRs on Your Account" section of the Terms and Conditions. The minimum monthly interest charge will be $0.50. Balance transfer fee: 3% (min. $5). Cash advance and cash equivalent fees: 5% (min. $10). Foreign transaction fee: 0%. See Terms and Conditions for updated and more information about the terms of this offer. 3. 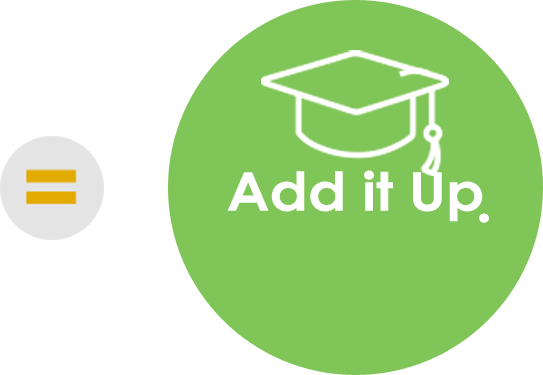 When your Upromise Program account is linked to an eligible 529 College Savings Plan prior to the end of your billing cycle, with the Upromise Mastercard you'll receive a 15% bonus on your total cash back, including Round Up Amounts. 4. Participation in Upromise Round Up is optional. In order to participate in Upromise Round Up you must set your threshold to any dollar amount from $1 to $500. If you do not wish to participate in Upromise Round Up, you should leave your threshold set to the default amount, which is $0. The total number of cents from purchases that are rounded up to the next whole dollar amount will be posted as a purchase to your Account and converted to cash back ("Round Up Amount") on the end of the day before your billing cycle ends, subject to your Upromise Program account remaining in good standing and not otherwise suspended or terminated. For example, if your Round Up Amount is $50, we will post $50 as a purchase to your Account and convert the $50 to cash back. Upromise, the Upromise logo, and other Upromise names and logos are service marks or registered service marks of Upromise, Inc. The Upromise Mastercard is issued by Barclays Bank Delaware (Barclays) pursuant to a license from Mastercard International Incorporated. Mastercard is a registered trademark, and the circles design is a trademark of Mastercard International Incorporated.